Great to decorate your room! 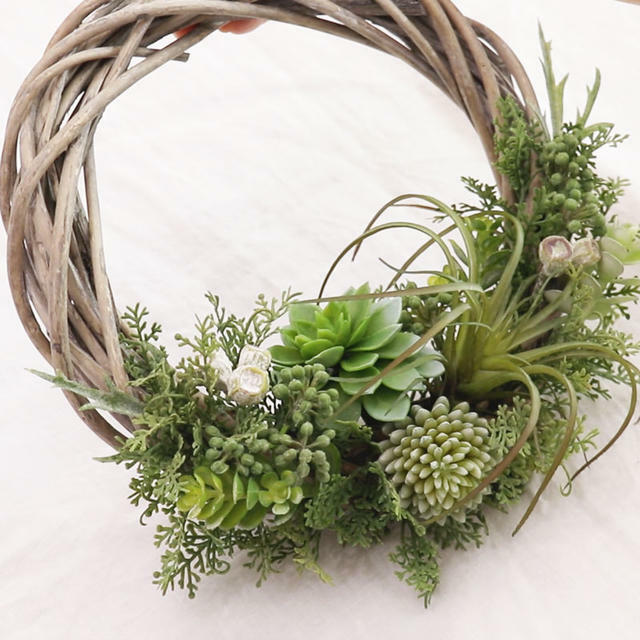 We will be lecturing how to make a wreath with artificial succulent plants and leaves. Today's lesson is given by Honey Garden's Takizawa. 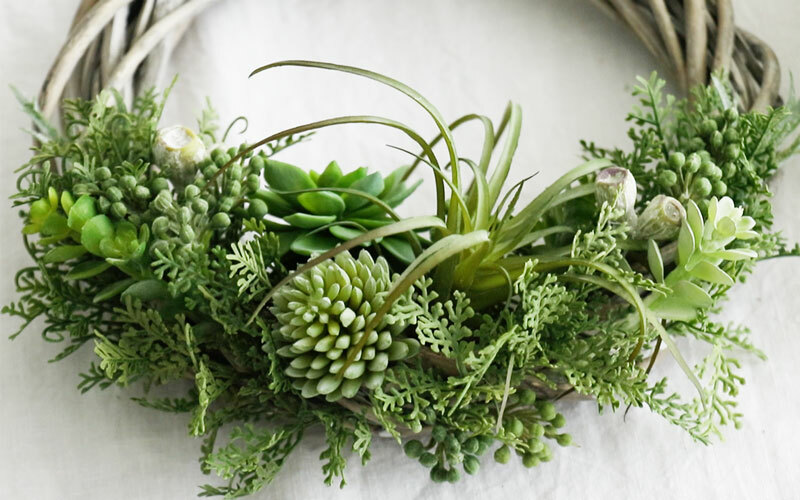 The lesson will be about how to make a wreath using artificial succulents and leaves. When a wreath is mentioned, a lot of people think about flowers on the entire surface. 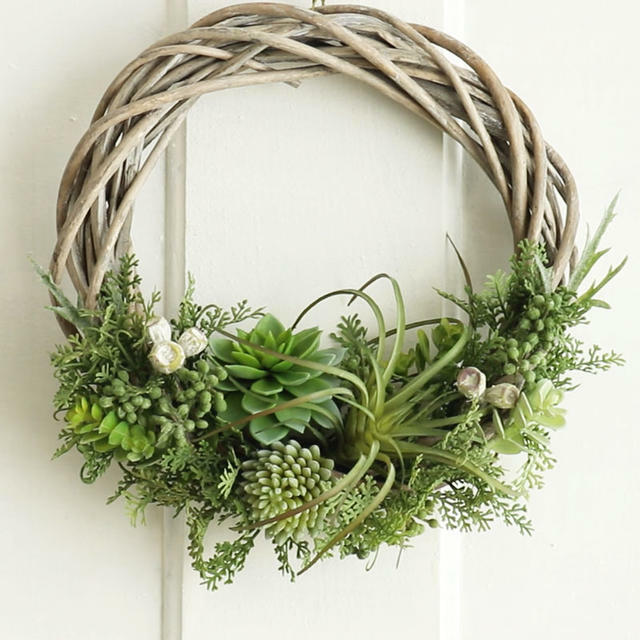 Today's lecture will be on the popular wreath that are made with succulent plants. 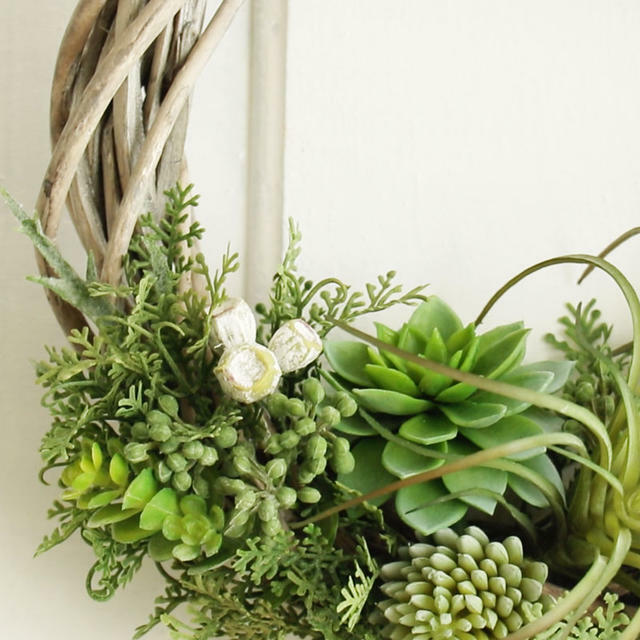 Succulents are added to the lower half of the wreath to create a refreshing appearance. and create natural appearance that would suits all types of rooms. It will be a nice addition to your room. how to apply succulent plants and leaves on the wreath with a nice balance. ◆How to pick the succulent plants that would be the accent. ◆How to cut the plants without mistakes. ◆How to add a 3D feel. And such will be taught. 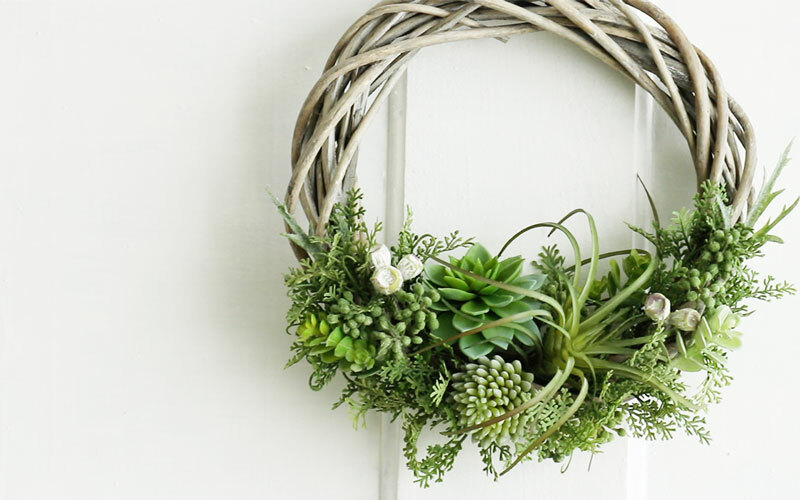 Points on how to make a perfect succulent wreath will be thoroughly explained. 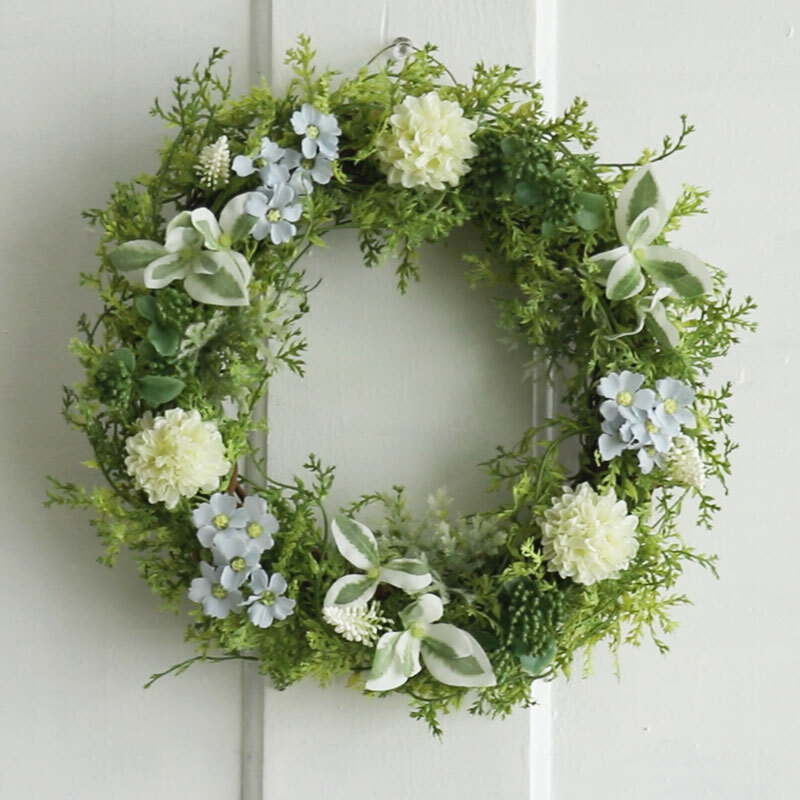 you can make a wreath with natural appearance. the perspective of Mrs. Takizawa who has made so many wreaths. It is OK even if you are a beginner in flower arrangement! The lesson is made to be a fun challenge for people who have never made any wreaths before. and place the succulent plants in the same places as Mrs. Takizawa. Once you know how, it's not hard to make. So why not give it a try!